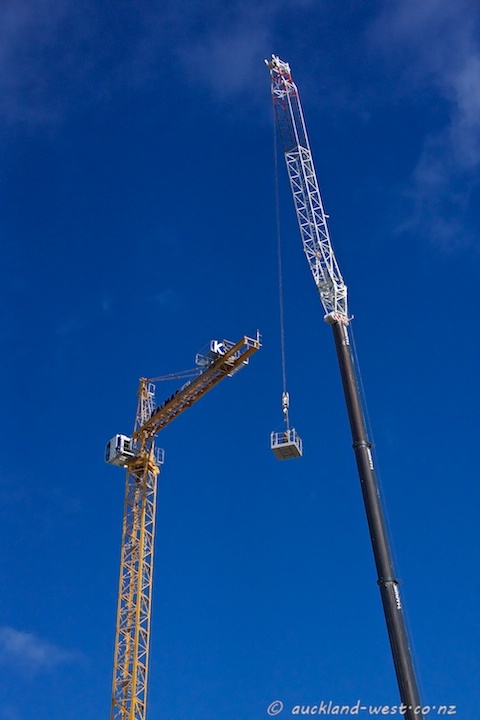 A crane is being erected on top of the recently finished McCrae Way carpark. A multistorey apartment block will rise above it. When I saw this, the long boom of the yellow crane was still on the ground. Blue sky — but cold temperatures!